Winner Casino provides a spectacular gaming experience with the innovative design, captivating graphics and sound. The tournaments, promotions, and loyalty incentives are not to be missed! 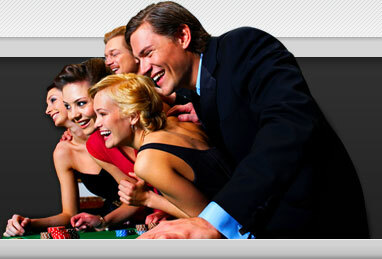 Enjoy Classic casino games, Poker, Bingo, Social gaming, Scratch cards, Live and Mobile casinos. Winner Casino brings a thrilling casino experience to millions of players around the world. Players who prefer a more realistic gaming environment will enjoy the Live Casino features. The Winner Live Casino is filmed live in a real casino where the dealers are real, games are authentic and the action is in real time. The mission is put into two words "creating winners"! Providing state of the art software, an impressive collection of casino games and the highest tests of gaming integrity. Winner Casino has professional staff to assist players 24/7. They can help to open an account, deposit funds, withdraw winnings and how to play the games. Contact them via Phone, Email, Live Chat or Fax. 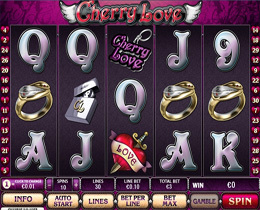 Cherry Love is a new online slot from Playtech which has a fatal attraction to it. The woman that has a tattoo on her shoulder depicting a heart pierced with a dagger, seems more dangerous than welcoming. Ladies that have a wild side, and men looking for “bad girls” will fall head over heels in love with this slot. Choose from the extensive collection of games, play the favorite or try a new and exciting game: Slots, Marvel Video Slots, Blackjack, Roulette, Live Card and Table Games, Craps, Video Poker, Scratch Cards, Arcade and Jackpot games. Winner Casino is operated by Zirconium Gaming Limited, licensed and regulated by the Financial Services Regulatory Commission Antigua & Barbuda.